Piper 43-30036 arrived in January 1944 in England, where she was assigned to the 8th Air Force. The Piper L-4 of the 12th TRS (Technical and Reconnaissance Squadron) bore the distinctive white and blue checkers on tail and nose coolings. At the end of WWII, the US Forces return to the USA and the Piper L-4 were given to the local governments. 43-30036 went to the Belgian authorities, and she is starting her civilian life in Belgium when the government gives the aircraft to the Royal Antwerpen Aviation club. A British man bought her in the 1970's. This was the beginning of a her civilian life in Great-Britain. 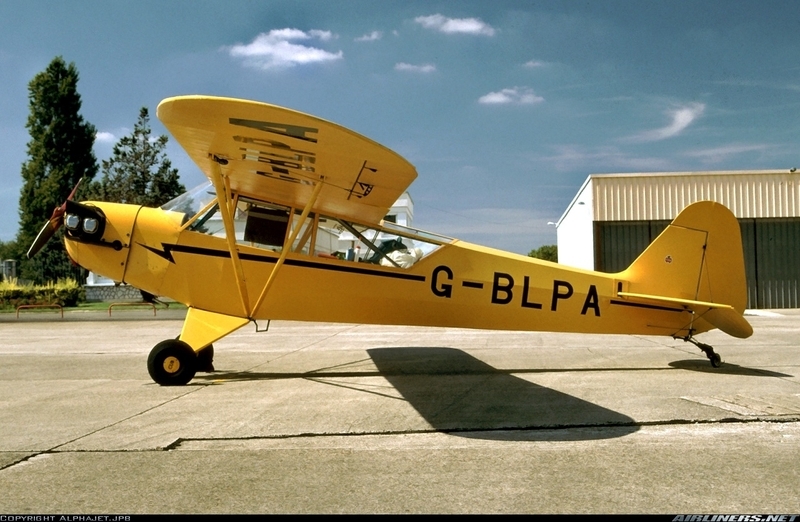 In 2013, after a long search for a genuine Piper L-4 with an history, I acquired G-BLPA. After a thorough check-up in Devon, off she is again accros the Channel, 70 years after the first time. 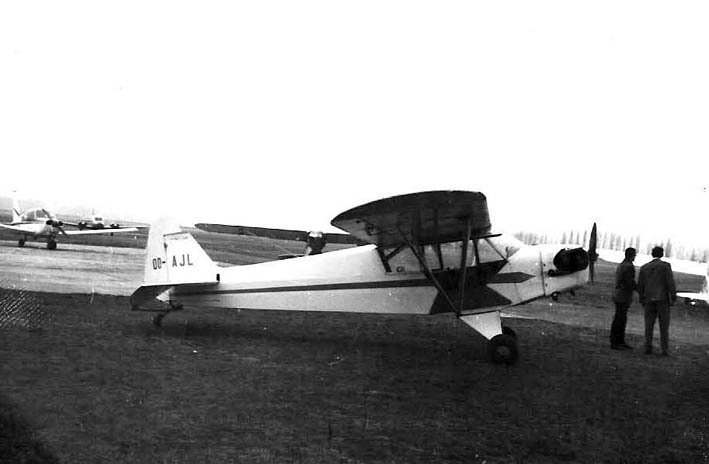 Code-named Grasshoppers by the USAAF, the Piper L-4 were an evolution of the civil Piper Cub (or J3), designed in the late 1930's. 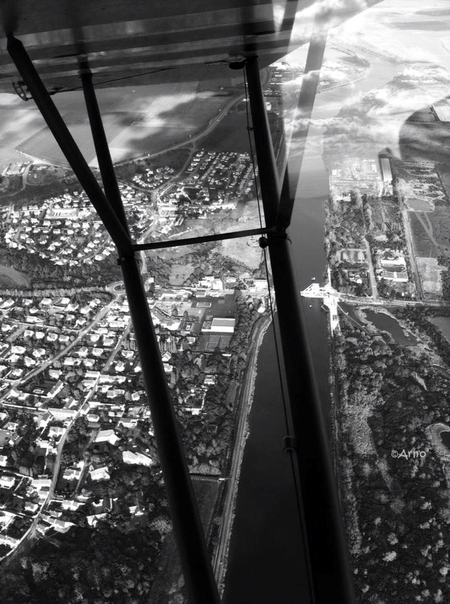 They were intensively used as military spotters and observation or courrier aircraft. 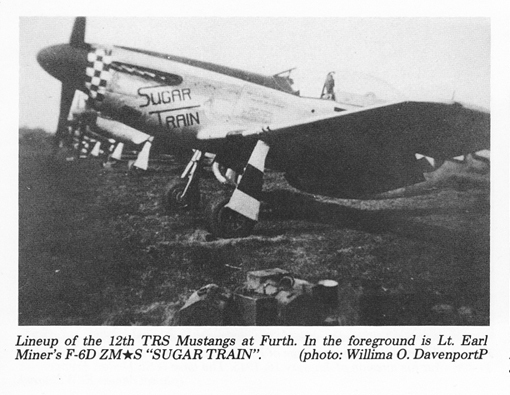 The airplanes of the 12th TRS (Tactical reconnaissance Group) fleet had in common the checkered blue and white nose and tail decoration... but this was shared by little 65HP Piper and the powerful Mustang P51 among others. 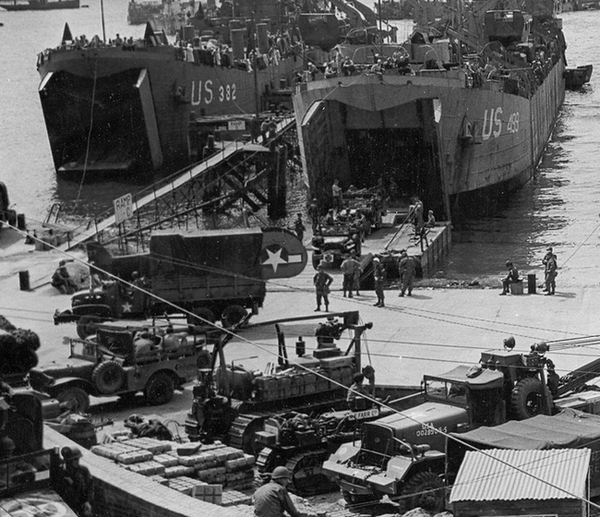 They took part in D-Day and the Normandy campaign, launched from UK where they had been getting ready since early 1944. 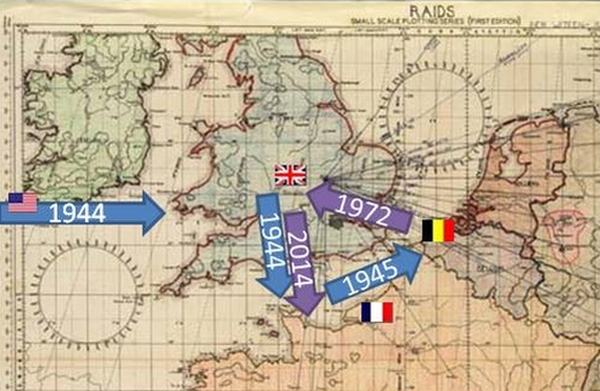 Then, the 12th TRS moved East towards Germany. 43-30036 became OO-JOE and then OO-AJL. 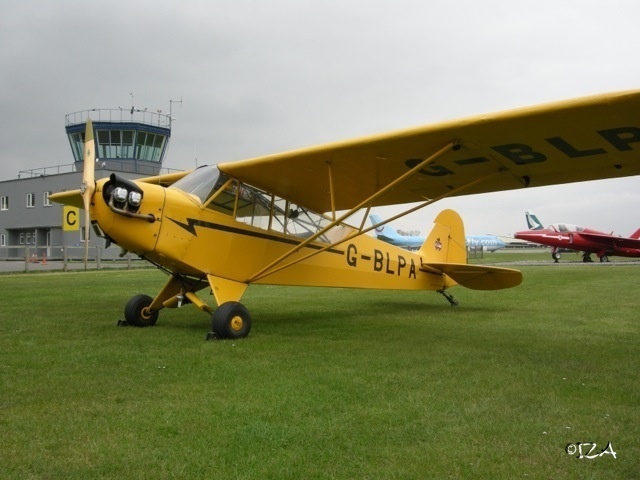 Her owners were two aeroclubs and private owners. 01/05/1946	Antwerp	9th Army to Aviation Club at Antwerp. 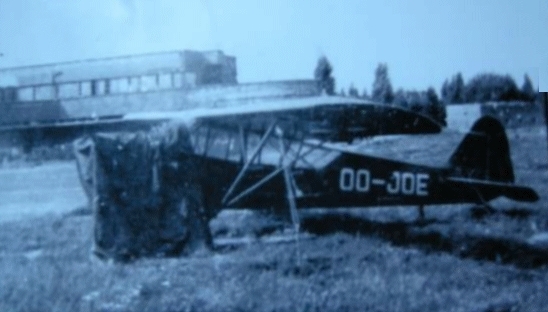 22/08/1946	Antwerp	OO-JOE at Antwerpen Aviation Club. See history. 24/11/1954	Crashed at Grimbergen. See accident report. Written off and bought by Devleminck Air Service. In 1994, she flew again off the English soil for the first time since 1944. 13/03/1972	Ian Callier, a UK	Air traffic controller brought her back to Britain for restoration. 26/09/1984	Rebuilt by Graham Card. 27/09/1984	Aylsbury, UK	Graham Anthony Card owner, Registration changed to G-BLPA. 24/11/1984	OO-AJL is written off from Belgium registry. 25/08/1994	Aylsbury, UK	Christopher John Gray co-owner. 16/03/1998	London, UK	Christopher John Gray sole owner. 20/08/2001	Abbotsley, UK	Anthony Charles Frost new owner. 06/06/2013 Iza Bazin, new owner. 43-30036 is moving to France, after a thorough maintenance visit by Sky4 in Devon. 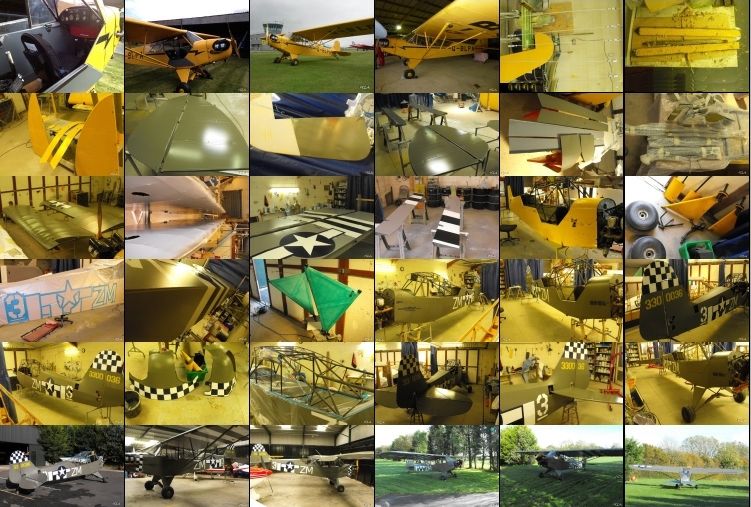 In 2013, after a long search for a genuine Piper L-4 with a history, I acquired G-BLPA. With a wink to history, her new registration certificate was issued on the 6th June, D-Day anniversary!